Advocates of redistricting reform in Virginia believe that November's wave election offers hope that changes are coming soon to how the state draws legislative districts. "This is not a nerdy little issue anymore." RICHMOND, Va. — An assortment of bills designed to revise standards for drawing Virginia’s electoral districts could be the beginning of the end for gerrymandering in the state, according to proponents of redistricting reform. In Virginia, House Bill 276, proposed by Democratic Del. Sam Rasoul of Roanoke, would create a Virginia Redistricting Commission. The commission would determine the criteria for remedial redistricting plans if a court declares any congressional or legislative district unlawful. Under the current system, the legislators themselves determine the criteria for redrawing these lines. District lines are redrawn every 10 years in accordance with the U.S. census, but a number of federal court cases have the potential to require immediate redistricting in certain Virginia localities. Rasoul said redistricting reform hinges upon a “fundamental question of fairness” that he believes the majority of Virginians agree upon, regardless of party affiliation. —House Bill 205, which would establish criteria for remedial redistricting. —House Bill 158, which would authorize the General Assembly to make technical adjustments to existing redistricting standards. —Senate Bill 106, which would create a size limit for congressional and state legislative districts. Additionally, lawmakers have proposed eight constitutional amendments. The amendments — which require approval from the General Assembly this year and next, then approval by voters — would prohibit gerrymandering. This session, legislators also must craft the state budget for the next two years, and it’s not realistic for them to approve a constitutional amendment as well, according to advocates of redistricting reform such as Brian Cannon of OneVirginia2021. However, Cannon is optimistic that measures such as Rasoul’s proposed commission can be steps toward ending gerrymandering. Cannon said support for the initiative is widespread, suggesting “70-some” percent of Virginians desire redistricting reform. Cannon said he believes the election of Democratic Gov. Ralph Northam and an influx of new Virginia legislators reflect a “good-government wave.” Cannon said the political climate is not conducive to schemes that protect incumbents like gerrymandering. 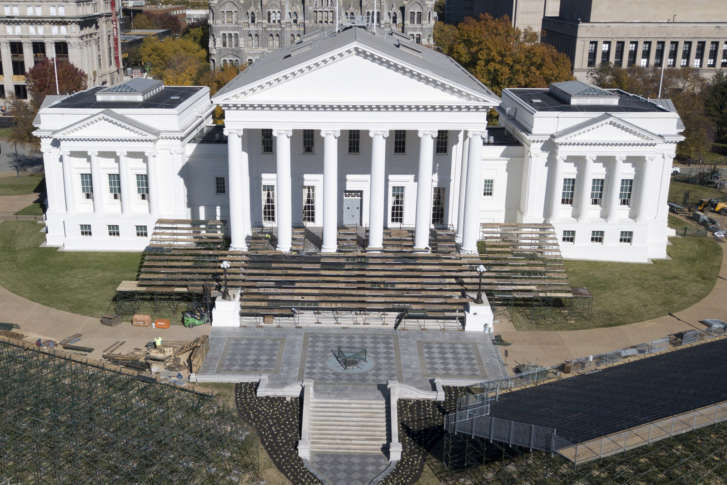 Although advocates such as Cannon are enthusiastic about the prospects of redistricting reform in Virginia, political experts are more skeptical. Mark Rozell, dean of the Schar School of Policy and Government at George Mason University, noted that officials elected under the current redistricting system are not likely to support changes such as interim commissions, much less a constitutional amendment in 2019. “Despite strong public opinion in favor of redistricting reform, the elected officials who benefited from the current system have so little enthusiasm to change it,” Rozell said. Nevertheless, Rasoul believes there is bipartisan support for tackling gerrymandering in Virginia and establishing new ways to draw political districts. Cannon is confident that the bills before the General Assembly can act as steppingstones toward the goal of eliminating gerrymandering in the commonwealth. This story was provided by Capital News Service’s partners at Virginia Commonwealth University. Capital News Service is a student-staffed news wire and broadcast news service operated by the University of Maryland’s Merrill College of Journalism. © 2018 Capital News Service. All Rights Reserved.